Having natural fibers of extremely high quality such as cotton, alpaca, and vicuña wool has allowed the Peruvian textile and apparel industry to enter exigent markets with pieces of clothing bearing internationally renowned brands. Based on the use of natural fiber like cotton and fine wool of alpaca and vicuña, Peruvian textiles are imprinted with more than 3,000 years of tradition and skillfulness. Their fame has contributed to promote a revolution in the production of new fabrics out of which has emerged a modern industry that works with novel techniques and offers avant-garde fabrics and garments. The long-lasting Peruvian textile tradition has been passed from generation to generation, ending up in companies whose owners pride themselves on such a legacy. Their aesthetic sense and the constant search for new ideas not only result in extraordinary garments but also in new fibers, threads, and weavings industrially produced. In addition, Peruvian manufacturers offer exclusive pieces, short periods of production, as well as flexibility to comply with their clients’ requirements. 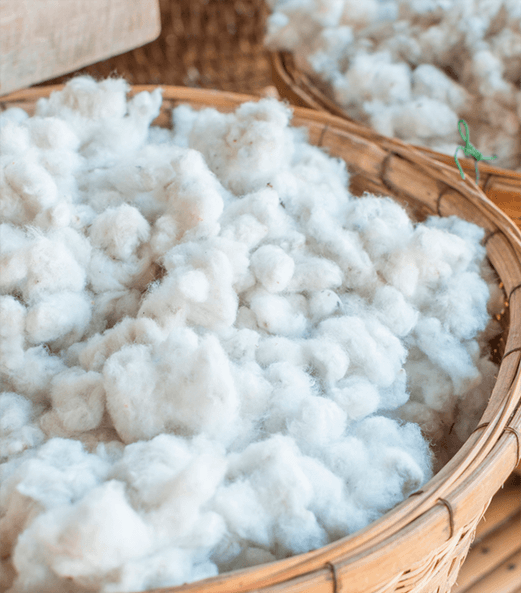 Peruvian cotton occurs in two varieties: Pima and Tangüis, which is processed into either flat or weaved fabric, produce garments like T-shirts, polo shirts, sweaters, shorts, pants, as well as baby clothes, which are oriented to a market segment that prioritizes quality. Peruvian garments are commercialized by renowned brands and important international apparel chains such as Abercrombie & Fitch, Armani Exchange, Calvin Klein, Giorgio Armani, Guess, Lacoste, Liz Claiborne, Massimo Dutti, Nautica, Polo Ralph Lauren, Reebok, Swiss Army, Tommy Hilfiger, and Zara, among others. Alpaca wool is extremely soft and delicate to the tact, and has no comparison to any other kind of fiber or wool. It is a strong and resistant fiber, ideal for industrial processing. It owns thermal properties and is easy to dye into 14 industrial colors. The fiber is manually classified and is used to make cloths, sweaters, accessories, and blankets; it also can be mixed with other natural fibers. Peru is the largest producer of alpaca and vicuña wool. Quality and modern designs according to market requirements and fashion trends is the trademark of this apparel sub-sector. Standing out is the manufacturing of footwear for women and men, purses, belts, and a wide array of accessories.